I’ve just got news that the abstract presented by Sidney University Researchers, on “Use of Virtual Reality for Balance Training in Unsteady Community-dwelling Elderly Fallers”, based on Prosperitas Portfolio company Medicaa, was selected to be presented at the Presidential Poster Session at the 2010 Annual Scientific Meeting of the American Geriatrics Society. As you may imagine, this is great news for Medicaa, since is an independent research by a top university demonstrating that Medicaa’s technology really improves quality of life for the elderly population. D. Boersma1, E. Thembani2, Z. Mohtahsam-Amiri3, O. Demontiero1,2, P. Suriyaarachchi1, H. Suarez4, A. Sharma1, G. Duque1,2. Introduction: Unsteadiness is considered an important risk factor for falls in elderly subjects. Despite its high prevalence, the therapeutic options for unsteadiness in elderly subjects are limited. Objective: To evaluate the effect of balance training using a virtual realty system reproducing environmental stimulation in unsteady community-dwelling elderly fallers. Methods: Twenty-two community-dwelling unsteady elderly subjects (mean age = 82 years) were treated for 6 weeks (2 sessions a week/30 minutes per session) at our Falls and Fractures Clinic using a balance rehabilitation unit, which is based on a virtual-reality system that changes sensory information (visual, vestibular, and somatosensory). We assessed postural responses by posturography before and after 6 weeks in the vestibular rehabilitation program under two conditions: (1) standing, eyes open, static visual field, and (2) standing, eyes open, dynamic visual field through virtual-reality goggles, generating horizontal optokinetic stimulation (70 degrees per second angular velocity). We recorded postural responses with a platform measuring the confidential ellipse of the center-of-pressure distribution area and sway velocity. Changes in gait parameters were assessed using a GaitRITE® walkway system. Results: After 6 weeks of treatment, postural response, confidential ellipse and sway velocity values were significantly lower (~ -30%, p<0.05) whereas limits of stability were significantly higher (~ 37%, p<0.01) as compared with the initial assessment. These changes indicate a significant improvement in balance parameters. Additionally, gait velocity was significantly improved (50%, p<0.05) after 6 weeks of balance re-training using our virtual reality system. Conclusion: Our data demonstrates the positive effect of a virtual realty system on markers of unsteadiness in elderly fallers. This study supports the possibility of treating elderly fallers with balance disorders using virtual-reality environmental stimulation. The effect of this intervention on falls prevention and the lasting effect in the long term are subjects of future studies. 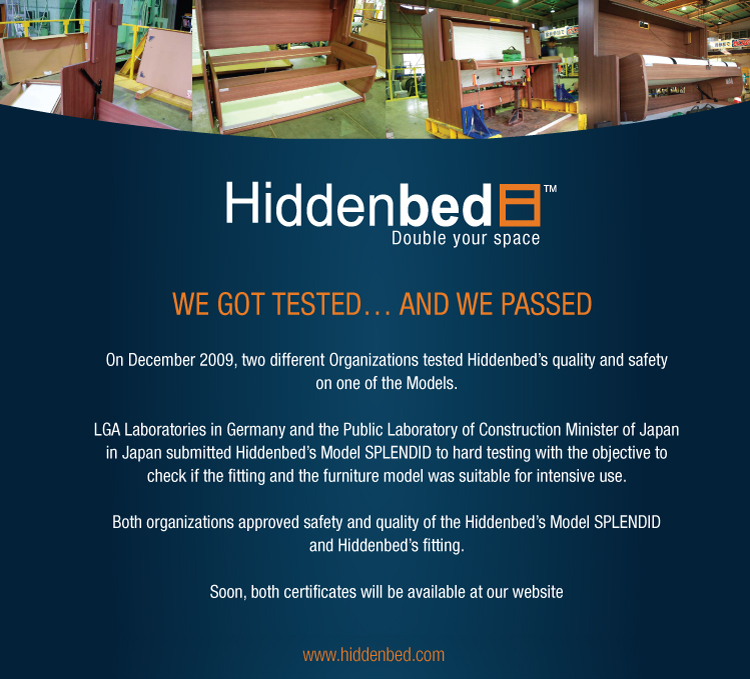 Hiddenbed, a Prosperitas Portfolio company, got safety and quality approvals in Germany and Japan for its product. As you may imagine, these two approvals are among the most demanding in the world. Pro Internacional, empresa del portafolio de Fondo Emprender y de Ingenio, liderada por Rosario Monteverde y Magdalena Rodriguez, acaba de ganar el premio Cartier Womens Initiative. Felicitaciones desde aqui a dos excelentes emprendedoras uruguayas! Aca esta el segundo articulo de Vinod sobre Uruguay y Prosperitas. Hoy estuvimos junto a Fernando Lazcano de CPG Soft, en En Perspectiva de El Espectador, donde nos entrevistaron Emiliano Cotelo y Juan Andres Elhordoy. Creo que la entrevista salio bastante bien, es impresionante como Cotelo y su gente se saben preparar para entrevistar de forma interesante en una gran diversidad de temas. La semana pasada fue el Congreso Mundial de OtorrinoLaringologia en San Pablo. El sistema de Medicaa (empresa de nuestro portafolio) fue presentado y un trabajo hecho con el equipo gano el primer premio en el area de Equilibrio.